Planning the perfect proposal is quite the conundrum. The last thing you want to do is be “that” person who proposes in front of the Eiffel Tower, on a jumbotron, or using a pizza box. You probably haven’t considered it before, but we’re here to tell you that a skydiving proposal is the absolute coolest, most surprising way to propose to your main squeeze. Here are some tips for planning your skydive proposal. The last thing you want on the day of your proposal is to be a nervous wreck — and doing it alone. You want to find a nearby place to skydive that will help you the logistics of the day. This way, you can focus on the most important part: not fainting before you ask the love of your life to marry you. Make it easy on yourself and find a skydive place that will make it a day to remember. If you feel yourself getting nervous in the days leading up the proposal, blame it on the skydiving. Even if you’ve done a few jumps before, say that you always get a bit jittery before a skydive from 10,500 feet. Your partner won’t question why you’re acting weirdly if you have the excuse of skydiving! If there’s any downside to a skydive proposal — aside from the literal drop from 10,500 feet — it’s that you might not be wearing your best outfit. Pre-empt any, “I can’t believe we took professional engagement photos when I was wearing THAT old t-shirt” comments by encouraging your partner to wear an outfit you know they love. You can say a better-fitting top will help to put on the skydiving rig; or, you could say that a bright color of their favorite shirt might look better in skydiving pictures. However you spin it, just make sure that they’re wearing an outfit you know they won’t regret! You don’t need a destination for the perfect skydiving proposal. If anything, it’s better to go somewhere local so that you don’t need to worry about traveling with a ring, luggage getting stolen, or any other travel snafus. 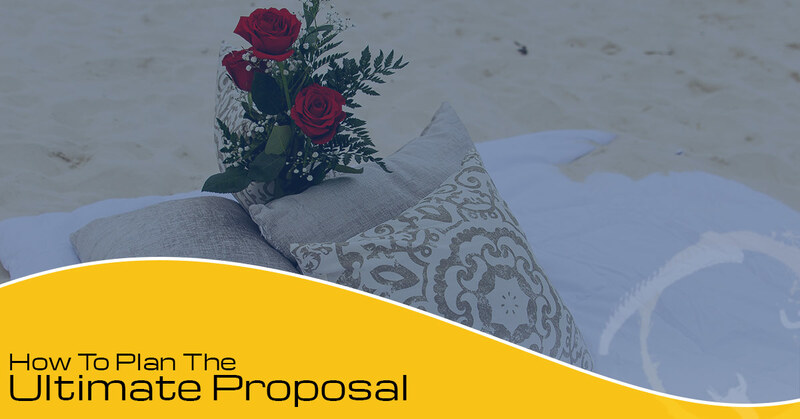 Plus, if you live near Pensacola or Mobile, you already know that the Gulf Shores make a picturesque backdrop for a proposal. For the ultimate proposal, contact Skydive the Gulf in Pensacola and learn more about our proposal packages!